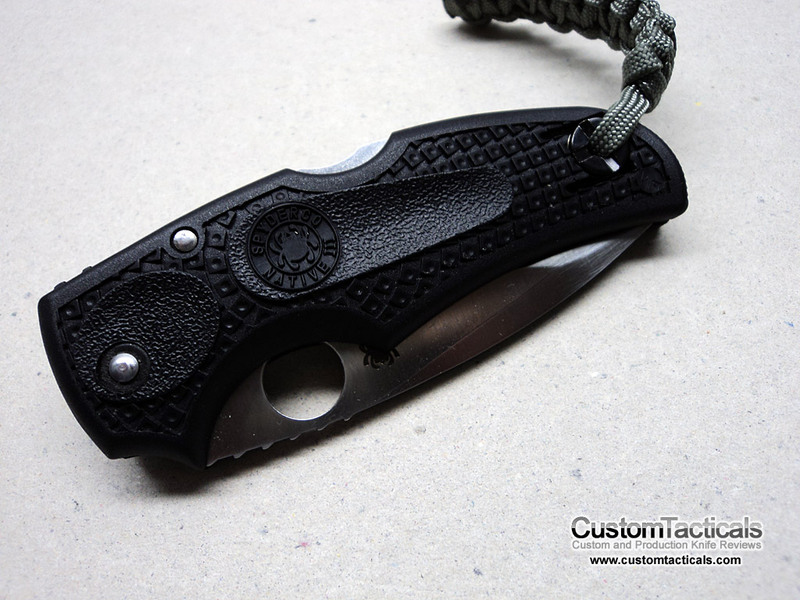 The Spyderco Native is one of the favourites that Spydie fans like to buy and collect, in part due to its sensible design and materials. The knife is designed for the human hand and fits mine perfectly. There are several generations of this knife available and this is the 3rd, now discontinued, generation of the knife. The third generation Spyderco Native differentiates itself from the other generations with very different looking FRN scales with a more heavily contoured surface. The handle itself is a bit more ergonomic than previous and future versions and is the only one offered with a wire clip. This model has Spyderco’s workhorse VG-10 steel, sharpened to hair-popping sharpness as usual. The spearpoint design is a great looking and working shape, with a very thin taper giving it excellent slicing ability. The blade is hollow ground, with a small swedge on the top and measures 3 1/8″ long. The actual cutting edge is quite a bit shorter since there is a large finger choil at the tang of the blade to allow the user to choke up on the blade. 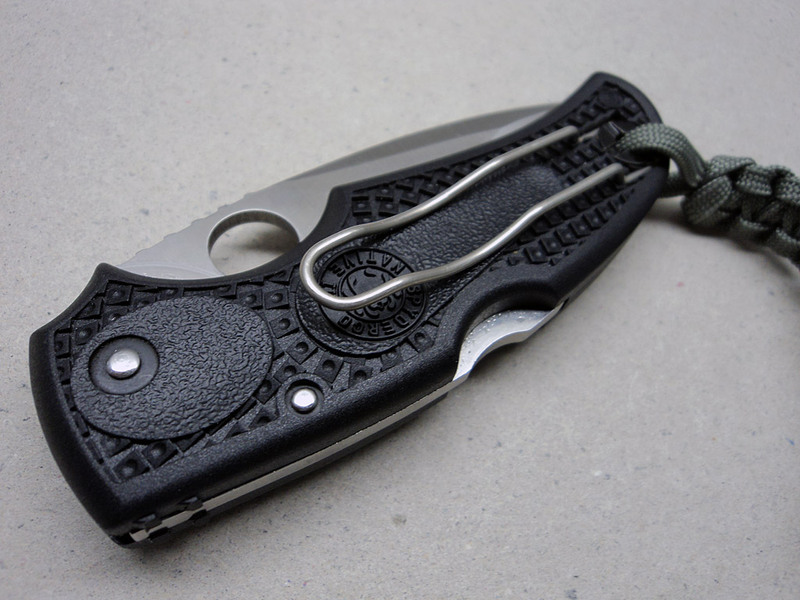 The Native III has a unique handle shape, which is very different from all over versions of the Native. The handle is very 3D looking, and has some dimple spots in it that make it immediately identifiable. The wire clip is held in by a barrel nut and can be switched from right to left hand tip up carry. This is overall a fantastic user and a great EDC knife, and most of you know that already. 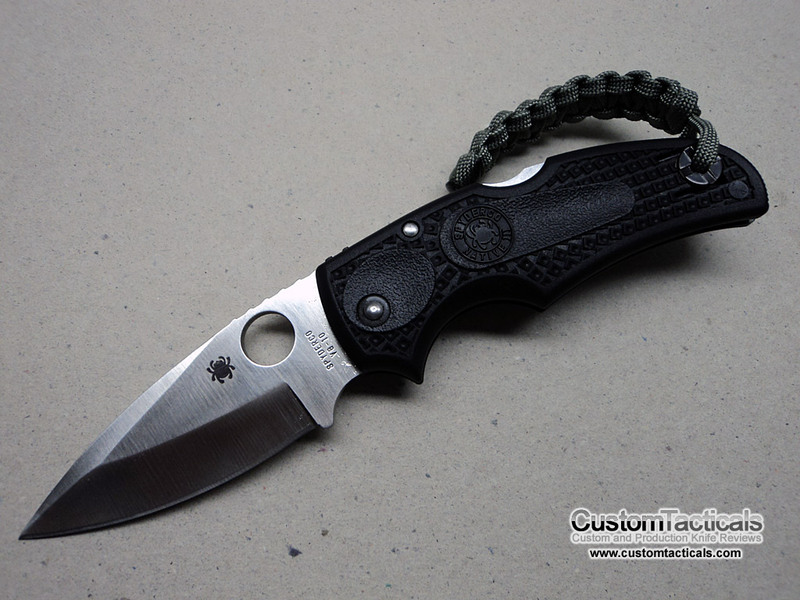 The fit and finish is typical of Spyderco FRN products made in Japan: Very good, especially for the price. Not much to complain about here, as they are about the best FRN knives money can buy, and they often appreciate in value too. Highly recommended.